Southport Labour Party has officially nominated Jeremy Corbyn in the Labour leadership election. At a packed meeting at the Prince of Wales hotel in the town, Mr Corbyn received 107 votes from members with challenger Owen Smith receiving 27. The Prince of Wales Hotel in Southport was packed as Southport Labour Party gave its backing to Jeremy Corbyn. The vote took place by secret ballot and members were given equal time to speak about the merits of their preferred candidate. 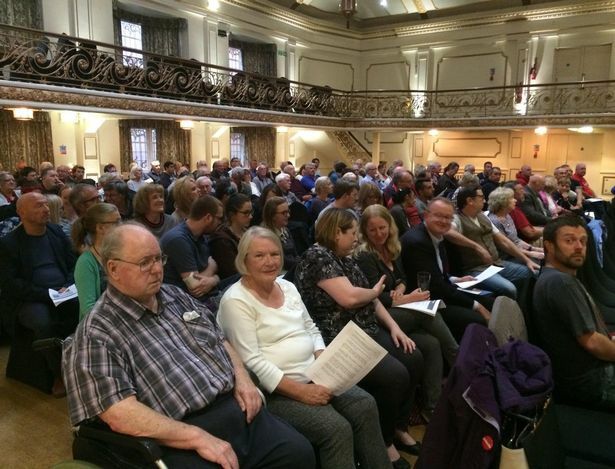 Chair of Southport Labour Party Mhairi Doyle said: “It was wonderful to see so many people turn out to have their say about who they want to be leader and how they see the party going forward. “There were good arguments on both sides and there was a friendly, democratic atmosphere throughout. “Membership of the local party is booming like never before. We currently have more than 841 full local members and hundreds more registered supporters. Ballot papers for the leadership election will be sent out in the post (Labour Party members only) and by email from the week starting Monday, August 22. All ballots must be returned by Wednesday, September 21 at midday. The result will be announced at a Conference on September 23 in Liverpool.